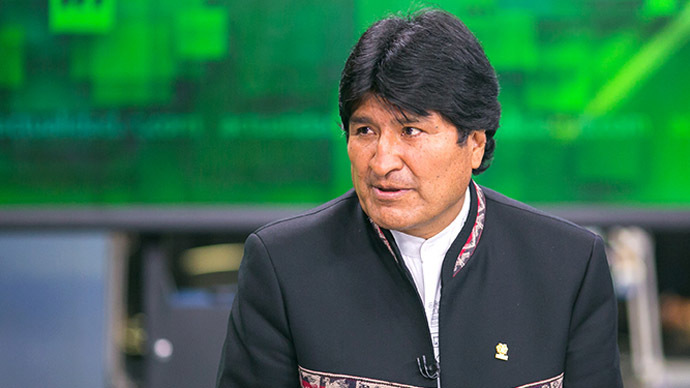 Bolivia is underdeveloped technologically, so we would like to learn from other countries in order to create added value by processing natural gas, President of Bolivia Evo Morales told RT Spanish. The head of the largest Latin American gas exporter was in Moscow on July 1-2 for the Forum of Gas Exporting Countries. Evo Morales met with Russia’s President Vladimir Putin, the two presidents discussed access of Russian energy companies to aid Bolivia’s oil and gas development. "We would like countries like Russia and Qatar to consider investing in Bolivia. We offer this as partners, not as the owners of our natural resources. This is the new policy of the Plurinational State of Bolivia. We would like to create added value, so that our countries get richer and consumers benefit from this fuel," Morales told RT Spanish ahead of the meeting. RT:What can you say about your visit in terms of your bilateral relations with Russia? EM: We want Russia to resume its technological exports to Latin America and the Caribbean. We want to learn from you, to work together and cooperate in investment, in order to diversify our investments and our market. We cannot depend entirely on the US market, as some countries in Latin America do. We cannot rely entirely on the European or the Asian market. We want to have diverse markets. We also need to import technology in order to avoid a monopoly in Latin America and the Caribbean. We will soon sign an agreement with Gazprom and another company, which will come to Bolivia in the near future to look at our reserves. 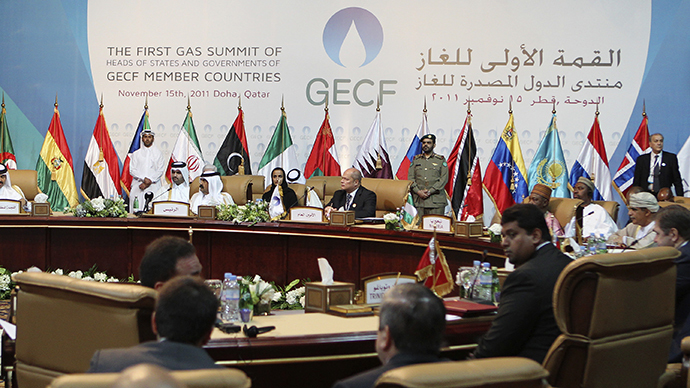 We will discuss the best way to explore new gas fields and develop them to our mutual benefit. Second, we also need Russia’s technological assistance in fighting drug traffickers. Bolivia needs radar and helicopters, ones that can be used in the mountains as well as on the plains. In order to fight drug cartels, we would like to buy big helicopters that we know Russia has. We would be interested in buying them for a reasonable price or on credit. These are the issues we would like to discuss with Russia. RT:Based on what you are saying, I conclude that close cooperation between Russia and Bolivia will continue. EM: Of course, we will develop our cooperation, fair trade and investment in natural resources. I would like to thank Russia publicly. In the days of the Soviet Union, many Bolivians studied in Russia, and today they are good professionals. Some of them work in the government; some are engineers. They are well-disciplined and well-educated. Today, as Bolivia develops, it would be very helpful if our young specialists could study in Russia and then take their knowledge back to Latin America, to the Caribbean, and especially to Bolivia. RT:Speaking of this exact kind of liberalization, your position towards the USA has been shaping over a long period of time. You expelled an American ambassador, the DEA and, according to your latest statement, USAID as well. What are the grounds for such measures? EM: Bolivia wants to establish friendly relationships with President Obama. He and I have something in common – we both descend from oppressed population groups. I don’t know whether it is Obama’s instruction or not, but this US organization was conspiring against our government, provoked us, funded our opponents and turned some companies against us. All countries and all presidents have their opponents but ambassadors and other members of diplomatic missions shouldn’t participate in any plots. That is why we expelled the agents of the United States Drug Enforcement Administration and the US Agency for International Development. The USA pretends to help us just to conspire against our country, weakening it. We are a small county, but we still have a right to protect our dignity, independence and fight against foreign conspiracies. We respect differences between countries and freedom of thought. There are many different countries – be it capitalist, imperialist, anti-capitalist, anti-colonial or anti-neoliberal – it shouldn’t hatch plots against us. I am very sorry that the USA is involved in this, and it was the reason for the expulsion of their agencies. RT:What is the reason for this conspiracy? What are the goals of the USA? EM: They don’t want other countries to nationalize their natural resources and utility operators. For instance, Entel Telecomunicaciones (Entel Movil) was privatized during the period of neoliberalism. Up to 2007 Entel had only been present in 90 out of 341 municipalities. In 2007 the company was nationalized and its services are now provided in all the country’s municipalities. In 1989, when I was a labor union leader, I had my first visit to Europe within a program for legalization of the coca leaf, protection of human rights, protection of the Earth, as well as supporting the rights of the Indian poor. I visited Switzerland, France, Belgium, but most of the time I spent in France working with the coca leaf campaign. So one Sunday I had no conferences to go to, and a friend of mine from France said, ‘Evo, I’m a farmer, let me take you to my farm’. I had free time, so I decided to go. We went quite a long way in his car. I couldn’t figure out how a farmer could own a car. After a long journey, we finally made it to his farm. He pushed the button, and the garage door opened automatically. I felt like I found myself in a different world. I’d never seen anything like that garage before. We went in, and inside he had telephone, electricity, drinking water, and shower. I’d never seen a shower before either. He said, Evo, feel free to take a shower. It was totally amazing to take a shower. Then I saw the phone, and he told me that I could use it. I was really overwhelmed that someone living in a remote village had a private phone. For me, France, Europe was a truly different world. At that moment I wondered when my brothers in my village would have shower, electricity, and other amenities, and drinking water of course. Just think how things have changed in Bolivia since 1989. The Entel network now covers almost the entire country. Thanks to these programs which encourage investing in water as the source of life, capital cities of provinces and municipalities have got drinking water. Villagers used to have to travel to cities just to be able to see electricity, television and drinking water. And now, to the contrary, people go back to their provinces where they now have garden water and drinking water, and where they enjoy electricity and communication networks. This side of our public life has seen some profound improvements. And we feel we’re obliged to continue changing Bolivia. RT: Can you say that you as president have managed to achieve your dream? EM: I’d say I achieved more than one dream. During the seven years of my presidency I’ve achieved truly historic, even unprecedented results from the foundation of the republic. For instance, in 2005 prior to my election, the state investments amounted to $600mn, 70 percent of which were loans and cooperation funds, and only 30 percent were actual money. Last year, the state investments amounted to $6bn, about 20 percent of which were loans, and the rest was our state funds. We were able to achieve this due to nationalization. Another important point, the YPFB Company’s oil revenues were $300mn in 2005; and last year, oil revenues were $4.2bn. This year we’re expecting to make over $5bn from oil. We went from $300mln in 2005 to $5bn in 2013 in the oil sector alone. It means that nationalized companies bring these revenues, which become the assets of the Bolivian people. Bolivia used to have to borrow money to be able to pay salaries, but this is no longer required. We used to always have a budget deficit but now, in the first year of nationalizing the oil deposits, we had a budget surplus, and now we can afford benefits and subsidies for our elderly and children. RT:Coca Cola and McDonalds got kicked out of Bolivia. What was the reason for such measures? EM: This was initiated by some of our comrades. It caused an increase of consumption of national products and the development of the domestic market. I welcome such initiatives, because if our market grows, our economy will grow and our economic policy will become more stable. If we depend just on the foreign market, when it crashes, we may experience the economic crisis. Today we are trying to develop the domestic market. For instance: city administrations have more financial resources, mayors purchase national products from small producers to prepare breakfast and lunch for primary and junior school students. Parents produce, mayors purchase and feed the children to strengthen the domestic market and boost the economic growth. I’m not an economist or a financier, but I realized that these measures benefit our country and encourage us to expand our domestic market. We’re now talking about guaranteed-income products that may cause economic growth. RT:Do you believe that capitalism is the cause of many of the world’s problems? EM: Just like before I still believe that capitalism is not the most successful way. The capital is concentrated in the hands of a small group of people, the so-called oligarchs. They have all the economic and political power. And they are using their economic power to increase the economic power of certain businessmen. I know that some businessmen do not participate in politics and are just doing business. They have the right to do that, just like others. But there are businessmen-politicians, who use politics to get money for their companies, and that’s what we call the politics of oligarchy. As long as there are such politicians, as long as the capital is concentrated in the hands of a few people, nothing will change. As long as there’s capitalism and imperialism in the world, there’ll be struggle. RT:Mister President, I would like to conclude our conversation with a brief reflection regarding the future. How possible do you think it is that major changes in the global economy will start in Latin America? Nations where all natural resources are owned by the state and the people, and where revenues from resource development belong to the people, such nations will be alright. That is why it would be great to apply Bolivia’s and other Latin American nations’ experience to the benefit of the rest of the world. I always knew that Latin America is abundant in natural resources. Even in Bolivia, after so many years of plunder, there are still considerable resources that practically lie right beneath our feet, such as oil and iron. We went to the site they were talking about, and there really was a spring spurting with oil. It could be light crude or heavy crude, but the bottom line is that it was gushing with oil. Unbelievable. I am Bolivian, and I myself keep discovering my country and its riches – it turns out we have vast deposits of lithium. And once, they brought me to an area that borders on Brazil, and someone told me, “Look, Mr. President, this is iron. Take that stone there.” I pick up a stone, and I see it’s pure iron. What we need are joint ventures. Foreign companies could team up with our national companies and mine these resources for the sake of all humanity, in a sustainable and responsible manner. What we need is partners rather than “masters” who would misappropriate our natural assets. There are still some decent foreign companies that continue to operate in Bolivia, such as Repsol S.A. and Total S.A. But the law that used to grant ownership rights over deposits to mining companies is no longer in effect. It was a neoliberal measure enacted by one of the previous governments, which effectively meant that natural resources were property of the Bolivian people just as long as they were below ground – once developed, they no longer belonged to us, as ownership rights were to pass to the owner of the mining company. Consequently, Bolivians were entitled to a mere 18 percent of mining revenues, while mining companies claimed the remaining 82 percent. Such was their invention. Our latest economic assessments show that a share of 18 or even 15 percent of the revenue is enough for a mining company to get a return on its investment and make a profit. So nowadays, we Bolivians retain 80, 82 or even 85 percent of mining revenues, particularly as far as gas mining is concerned. This has had a major impact on our economy. We need to set up joint businesses that would benefit both Bolivia and other countries. Which is why such meetings are so helpful. Like I said, we are very enthusiastic about it, and we would like to continue getting to know each other better, to our own benefit and for the best of humanity.